You have committed to the vision of your dream business. You have begun to pour your heart and soul into its success. You are ready to build your brand from scratch. The learned habit of many entrepreneurs is over-achieving. You are a hard worker. You will do whatever it takes for your dreams. You have a pro-active, I-can-figure-it-out mindset. We work our butts off. But the work you put in doesn’t always turn into cash. We love hustlers, change-makers, movers and shakers. And since you’re here, you’re definitely a trailblazing entrepreneur or have a powerful entrepreneurial spirit within you. You are called toward service to heal and transform lives. To change the world. You can easily embrace your unique abilities, attract your ideal clients and step out of the shadows to watch your radiant business thrive. We want to expand your reach, build your tribe and maintain your marketing message. Marketing efforts you put into the Universe today will attract abundance in the months to come. Seriously, blogging and content you produce will actually generate income but on its own timeline. It’s time for you to create the timeline. Confidently living your brand all of the time. You determine how long you need The Mastermind, depending on your budget, and after consulting with Lynan about where you are now. Foundation + 1on1 Strategy + Implementation = Trailblazing Business Growth! Why wait weeks, months, or even years for the business of your dreams? You can have it now! Build your future with complete access in 2015. January – December, comprehensive year-long coaching & resources. Jam-packed with all of my favorite goodies & absolute best entrepreneur MUST-Haves! Kick off a new chapter in your business. One where you always know exactly what to do next to be the making money you want! Not only will you have complete access in 2015, January – December, comprehensive year-long coaching & resources. Late Summer/Early Fall 2015, included in your Mastermind. Experience is the most powerful currency we have. Utilize this opportunity to connect with the Trailblazer Tribe and full embody your business growth. It’s a once-in-a-lifetime retreat! Kick off 2015 with the support and keys to success you desire. For 3 month you are covered, but you crave all year access to coaching & resources to build your future. You know you are a trailblazer but maybe you’re just starting out. You need more guidance on running an online based business. The world needs trailblazers, like you, right now. It’s time to up-level everything you do because you are growing at a rapid pace. 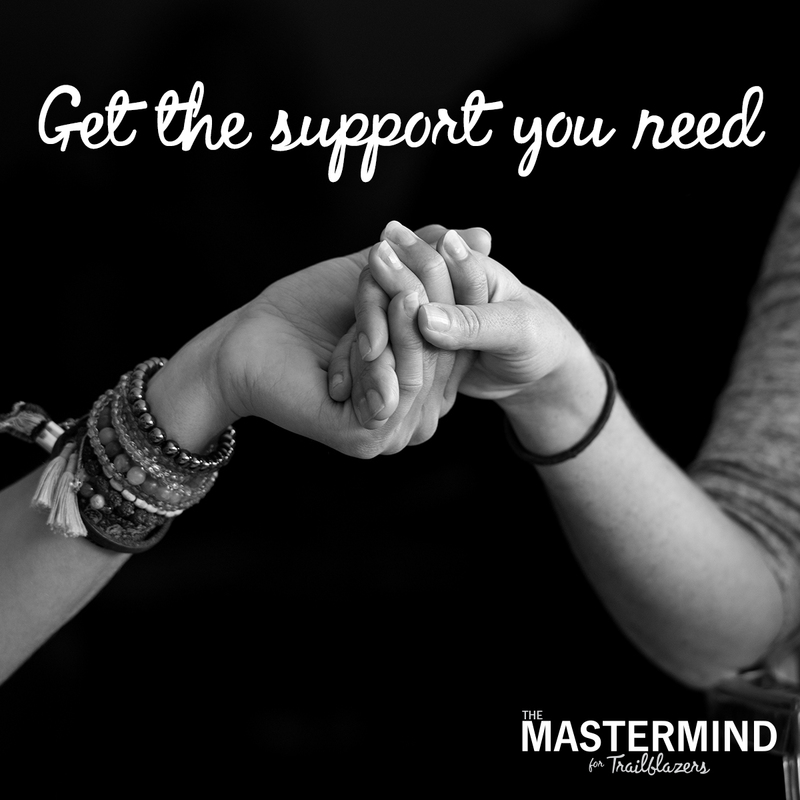 The Mastermind is your ultimate support system. We will support the building of your empire’s foundation and beyond. We will prepare you and your business for the masses who are desperately seeking your offerings. To get there you will need to be all in. We need to be honest with you. Lynan’s coaching isn’t for the faint of heart. We will always love you up AND get you the results you desire. It’s time to alter your offerings toward the specific wants of your audience. More adundance is waiting for you. If all of the clients you want showed up, could you handle them? You will need the infrastructure to support the weight of success. You’ll build your dream in record time. You’re going it alone because you believe you can only trust yourself. You are a capable and brilliant creator. You’ve heard of masterminds but aren’t sure how they work and if this is a fit for you. Maybe you’ve bought a product or hired a coach in the past, but right now everything is in your hands. And you want the keys to success given to you. You are doing the best you can but your best never feels like it’s good enough. You’re not sure how to implement all of your knowledge into YOUR business. The Mastermind is the answer. This is an invite only community of conscious entrepreneurs. Like-minded individuals coming together for expansion. Golden opportunities and potential customers are showing up. But you’re not always 100% prepared. And the chances to expand pass you by. You get frustrated, wishing for your big break. Stop beating yourself up. Release the feelings of inadequacy. Let us show you how to claim the money that belongs to you. There is an easier way and we’ll illuminate the path. You do not have to grow your business all on your own. In fact, we don’t recommend it. Thinking “I can build a multi-figure business by myself” is an illusion. We are realists. We want your success. We are here to gently dismantle this myth. You cannot do this on your own. You need a support system. You need the exact steps to make it happen. You need strength behind everyone of your brilliant ideas. You need implementation behind every one of your plans. It takes a village. And we’re reporting for duty. January – March are covered, say yes to all year access to coaching & resources. You may currently have resistance, self-doubt or be just plain getting in your own way. We believe awareness is the first step to releasing this limited thinking. All of the ‘mistakes,’ doubts and fears have lead you to here and are in the past. Right now, you have plugged into a power source that every entrepreneur needs to step fully into their greatness. Your past leads to your sensitivity as you impact the world. What has come before has nothing on what you’re building. It’s time to make money doing what you love. You are a trailblazing entrepreneur. You are creating a new pathway in your marketplace. Together, we are shifting the paradigm of business toward humanity. It’s time to serve more people. It’s time to grow your company into its full potential. It’s time to close all of your sales. Its time to make a consistent income all year long. Are you ready to step into your greatness? Are you ready to change the world? It’s time to leave solopreneur behind. Your empire awaits. You are ready now. We’ll show you how. Still undecided? Want to make sure this is the best fit for you & your business?